Our jargon free car finance, contract hire and leasing guide ensures you fully understand the various types of automotive finance and lease contracts available. Also known as an operating lease, business contract hire offers a fixed payment over the period of the lease contract with no risk to the customer on disposal. The vehicle is kept off an organisations balance sheet, whilst up to 100% of the rental can be offset against taxable profits. VAT is charged on the finance rentals with 100% of the VAT being reclaimable on the maintenance part whilst 50% can be reclaimed on the finance part if any private use of the vehicle is applicable. The road fund licence (RFL) is included for the entire contract period. Personal contract hire is the same as business contract hire but aimed at private users and is commonly referred to as a personal car lease. The car is purchased by the finance company who estimates a value of the car at end of the term and your monthly payment then consists of the depreciation and interest. 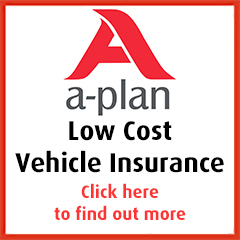 The benefits are no residual value risk and fixed payments, but the car has to be returned in a reasonable condition and not at a greater mileage than stated at contract inception or the finance company will levy an excess mileage charge for this. The road fund licence (RFL) is included for the entire contract period. Since when the banks started lending money to consumers there have always been people who did not meet the normal underwriting criteria for the main stream banks. These people as far as vehicles go, fell into the non status or sub prime leasing bracket. However due to the credit crunch, it started to have an effect on lending criteria and since mid 2008 more and more people were finding themselves classed as a high risk by the banks and leasing companies. Summary: Ideal for individuals and companies with a poor credit history, adverse credit or are new start businesses.